Taxes are a fact of life, no matter where you live. While that is the case, Texas has a reputation for its status as a low-tax state. However, if you own property in Texas, you will find its citizens pay one of the highest property tax rates in the nation. Coming in at number 15, the average property owner will pay approximately $2,500 a year. Unfortunately, many property owners find themselves in the property tax trap when those large payments come due each year. If you don’t pay your taxes monthly through a mortgage or other escrow, you can find the tax bill is simply too large to pay. When that happens, you are penalized in several ways. First, you are penalized monthly on your unpaid taxes. These penalties get progressively higher, and before you know it you can owe an additional 48% more in taxes on just one year of missed payments. Secondly, you will have a tax lien placed on your property. This lien prevents your property from being sold or transferred until the outstanding taxes are paid. 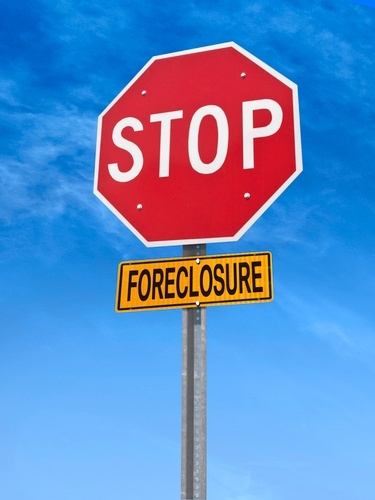 Of course, the biggest consequence for you if you have unpaid property taxes is foreclosure. Tax Assessors are empowered, through their attorney, to seize and sell your home and land to pay off your taxes, and they are not bashful about doing so. These realities have resulted in the creation of an innovative and affordable solution for property owners to work their way out of a delinquent tax problem. In the simplest of terms, a private company such as Property Tax Funding is allowed to step in and pay the county all taxes and penalties due by a property owner. This satisfies the county, stops costly penalties, and gives the property owner a repayment plan with the lender. The lender is able to offer very favorable rates and multi-year terms because their loan is secured by the transferred tax lien. Such lien transfer processes are simple, don’t rely on your credit, and are often put in place in just a few days. The net effect of this process is a win-win-win. The county has its money and doesn’t have to worry about pursuing the property owner with a foreclosure action. The tax lender has a secure position and builds their business around earning interest on their loan portfolio. First, you stop the extremely high penalties on your unpaid taxes. Second, you have the peace of mind that you will not lose your property to a property tax foreclosure. Instead of an immediate need to raise thousands of dollars, you convert your obligation to an affordable long-term monthly payment. Moreover, if you run into another financial bump, these lenders will work with you. In fact, it is noted that such tax lien transfers very seldom result in foreclosure. Third, you have time to develop the options you want with the time you need. If you wish to sell, you don’t have to do so in a distress situation. In fact, over 13,000 Texas property owners took advantage of this process in 2014, and it is even used by some commercial property owners as a cash management tool. In short, there is simply no reason for a Texas property owner to lose sleep over delinquent property taxes. We can explain the process when you call today. We are one of the premier companies working with Texas residents to help them avoid foreclosure because of unpaid property taxes. The team at Property Tax Funding has provided the assistance you need to thousands of satisfied Texans.